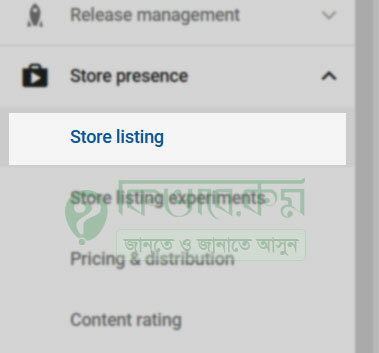 People like me may be search over YouTube or Google about how to update title, description and other details in Android Play Store (actually in Google Play Console) once you already publish your App. Well, I will let you know today how exactly you can do that. I did that for my Android App in Play Store. So, let have a look all the step by step. But in the same time, hope you would love to have a look on this small video tutorial about the same topic. Video tutorial about How to update title, description and other details in Android Play Store basically in Google Play Console. Lets have a close look on the topic. 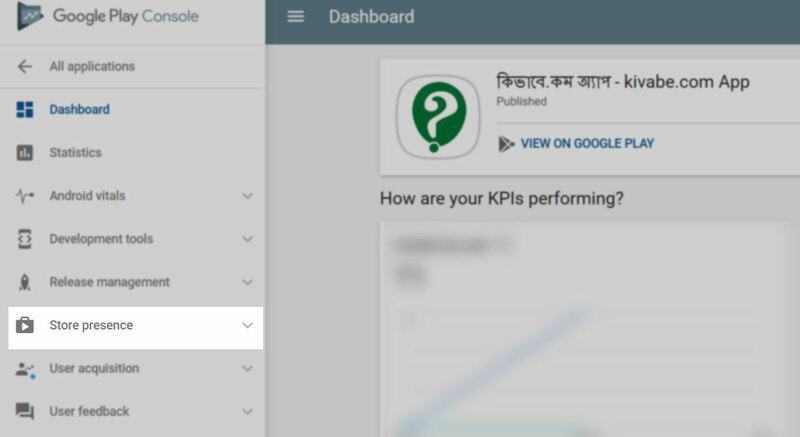 Once you logged in you google play console account, first choose which app details you want to edit from All applications list. 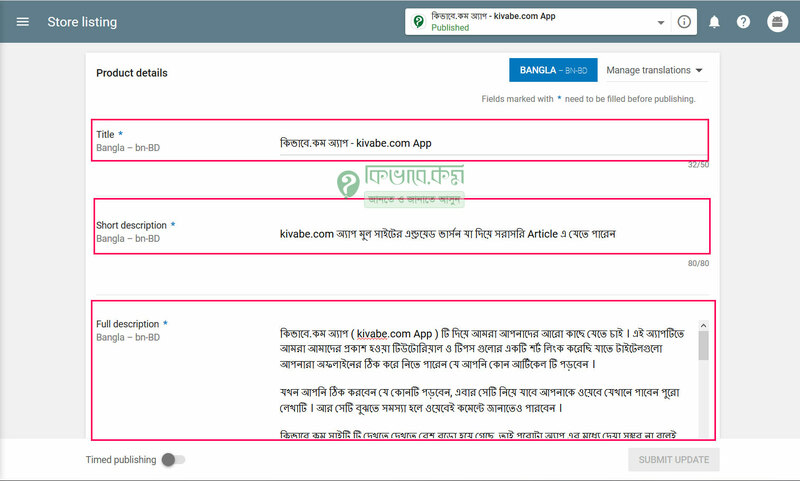 I am choosing my latest uploaded app কিভাবে.কম অ্যাপ – kivabe.com App. After choosing Store Presence, you will have some option or sub-menu, choose Store Listing from there. See the image below. You are in the right place, yes this is the location what you was looking for. See the right side, All you need to update is here. See the below image. Yes, from here you can update title of you app, Short Description of your android app and Full Description also. In Graphical assets section you can change or update Screen Shorts, App logo, Banner image etc.